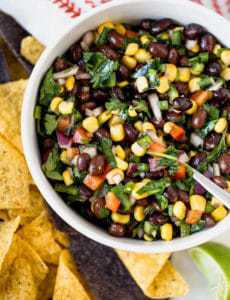 The week prior to Cinco de Mayo is one of my favorites of the year; I love Mexican food, and thoroughly embrace the opportunity to try new and different recipes. Enter these amazing caramels. Salted caramels are awesome. Chocolate caramels? Even better. 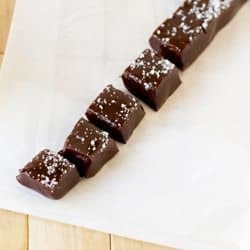 Chocolate caramels using Mexican chocolate? Better still. And to top it all off? A subtle infusion of red chiles. The combination initially gave me pause, but I’m so happy that I forged ahead with it. The Mexican chocolate and cinnamon provide a wonderful, sweet spice, and the red chile-infused cream leaves just a little bit of heat on the back of the tongue. 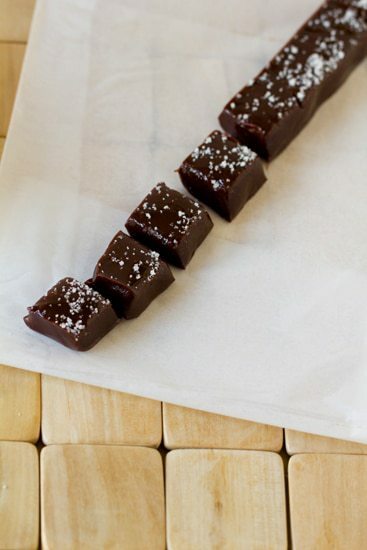 Needless to say, fleur de sel makes everything and anything better, especially sweet confections like these caramels. I couldn’t think of a better way to kick off the Cinco de Mayo food celebration here, than with these amazing candies. Naturally, a key component to these caramels is the use of Mexican chocolate. I had never eaten Mexican chocolate, and was curious about the difference between “regular” chocolate and Mexican. As it turns out, Mexican chocolate has a much grainier texture than other chocolates, and is flavored with cinnamon, almonds, and vanilla. 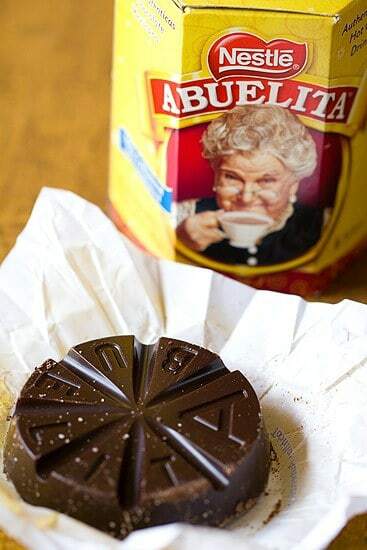 The original recipe recommended using Ibarra, Abuelita, or Taza. I took a shot at the local grocery store to see if I could find anything in the international aisle. Lo and behold, there was Abuelita in the Hispanic section. Score! They are actually a stack of individually-wrapped disks of chocolate. So cute! If you aren’t able to find Mexican chocolate, there is a substitution listed in the notes section of the recipe below. I haven’t done much in the way of caramel-making, although I have made the Ale and Pretzel Soft Caramels and Sea Salt Caramels with Vanilla Bean. These Salted Mexican Chocolate-Chile Caramels have definitely been my most successful batch to date. I followed much of the same process as with the other recipes, but the one difference is that I used my (fairly) new Thermapen to monitor the temperature. Since caramels can be so finicky, I attribute my super-duper success with this batch to the accurate temperature gauge. No question, I’ll be using it for all of my candy-making from now on! 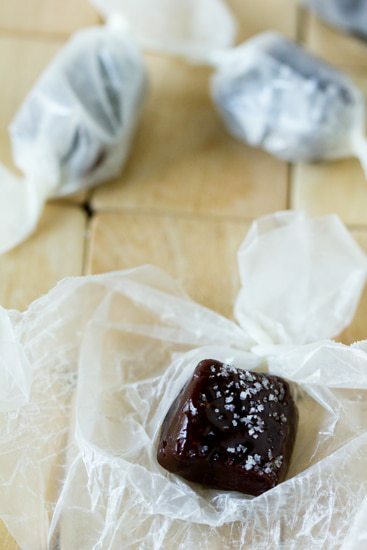 It takes a little bit of time to wrap each caramel individually and you might be tempted to skip it and just put them in a container for safe keeping. Trust me, though, the time and effort is well worth it. Without wrapping them, the caramels will begin to spread out if left to sit on their own. You can keep the wrapped candies in an airtight container or tin for a month or two – perfect for afternoon snacks, or for when company stops by! 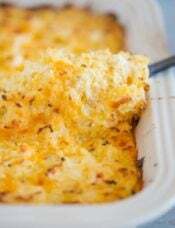 Line an 8-inch-square baking pan with two perpendicular pieces of parchment paper, so that there is overhang on all four sides. Set aside. In a small saucepan over medium-high heat, bring the cream to a boil. As soon as it reaches a boil, add the chile pieces, give it a quick stir, remove from heat, and cover. Allow the chiles to steep in the cream for at least 30 minutes. Remove the chile pieces with a slotted spoon and discard. Return the strained cream to a boil over medium-high heat, then reduce the heat to low, add both chocolates and the cinnamon. Let stand for 1 minute, then stir until chocolate is completely melted. Remove from heat and set aside. Bring the sugar, syrup, water, and table salt to a boil in a 5 to 6-quart heavy pot over medium heat, stirring until the sugar has dissolved. Boil, uncovered, without stirring but gently swirling the pot occasionally, until the sugar is a deep golden color, about 10 minutes. Tilt the pot slightly and carefully pour the chocolate mixture into the sugar mixture (it will bubble and steam quite a bit). Continue to boil over medium heat, stirring frequently, until the mixture reaches 255 degrees F.
Add the butter, stirring until it has completely melted, then immediately pour the caramel mixture into the lined baking pan (do not scrape any caramel clinging to the bottom or side of the pot, as these pieces will have crystallized). Let the caramel stand for 10 minutes, then sprinkle evenly with the fleur de sel. Allow to cool completely in the pan on a wire rack, about 2 hours. Using the parchment overhangs as handles, carefully lift the caramel onto a clean, dry cutting board. Spray a pizza cutter or large knife with non-stick cooking spray and slice the caramel into 1-inch squares. Wrap the candies individually and store in an airtight container for up to 1 month. 1 ounce semisweet chocolate + ½ teaspoon ground cinnamon + 1 drop almond extract. these got rave reviews when i did my trial run that i’m doubling for the holidays. 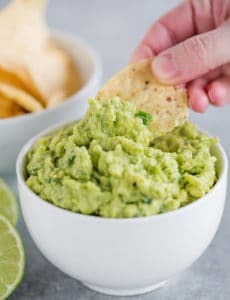 would you recommend double the recipe in one batch or just make two batches? Hi Liz, So glad you liked these! You can double these in one batch. I made these twice for my daughter’s Spanish class. I have never attempted candy before and they came out perfectly both times. I used my own habanero peppers which I dried in my oven in September. I used 3 and they were as hot a typical piece of cinnamon gum. I converted Ghiradelli into Mexican chocolate using your substitution and it worked fine. They were pretty, I made them smaller the second time (so it’s unnecessary to bite them) which worked a little better. They are attractive, tasted authentic and were VERY good. It is not as hard to make them as you may think. Use the correct ingredients. How big are the chiles? 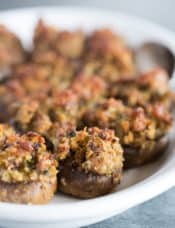 I know the recipe calls for “small” but how long are they approximately? I don’t want to throw three huge ones in! Hi Joelle, Eek, I don’t remember the *exact* measurements, but I would guesstimate maybe 3 inches. Subtract two degrees Fahrenheit from a stated temperature for every 1000 feet you are above sea level. For instance, if you live at 2000 feet above sea level, your approximate conversion would be four degrees less than the stated candy temperature. 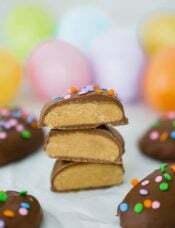 So if you were making a recipe that called for the candy to be brought to 240 F, you would only boil it to 236 F.
Another example: if you live at 6500 feet above sea level, your conversion factor would be 13 degrees less. (2 x 6 (thousand feet) + 1 degree for that extra 500 feet.) If your recipe called for 280 F, you would only cook your candy to 267 F. As you can see, the higher the altitude, the more important it is to do this conversion. Even a few degrees can make a huge difference in the successful outcome of the candy. I’m at 6000 ft. so I WAYYY overcooked this caramel. I just made a batch of these with vegan substitutions – I used Coconut milk in place of cream and unsalted margarine in place of butter. 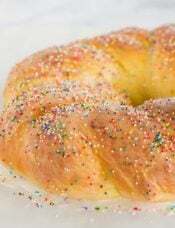 Although the flavor turned out excellent – one of the best things of this type I have ever tasted – the texture at room temperature is gooey and it sticks to the wax paper I wrapped it in. Refrigerated, they are perfect. One issue I had when cooking – perhaps my burner runs cool, I couldn’t get the sugar/corn syrup mixture to brown at what I consider “medium heat” (5-5.5) and I ended up bumping it up to 6.5 before it finally did, which took at least 20 mins. Same thing when trying to get the mixture to 255, so I ended up cooking longer than expected. Could this have caused the room temperature issues? Hi Scott, I’ve found that pretty much no two stoves were created equal and you sometimes have to play around with the settings to get the heat that you need. That being said, if it reached the correct temperature, it shouldn’t have an effect on the end texture. I’m guessing that the coconut milk and/or margarine could be to blame there. That’s what I thought might be the case – do you have any ideas for a vegan substitution that might not have that effect? I saw a recipe using soy milk and sunflower oil mixed together in a blender (along with vanilla and some lemon juice to make a faux creme fraiche). i might not need the lemon since I wouldn’t really want the soured creme taste. Hi Scott, Unfortunately, I’m not terribly familiar with vegan baking or appropriate substitutes. I’d hate to just throw something out there without knowing if it would work or not. 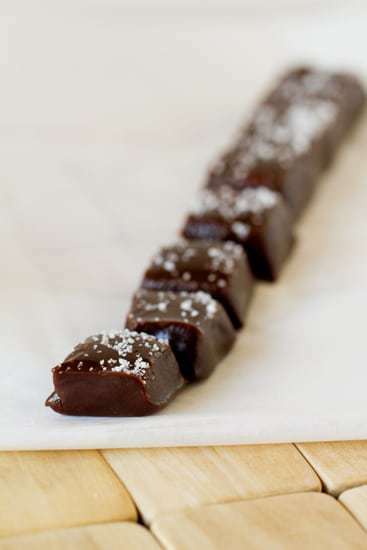 I have a small-batch candy company called Uncommon Confections…have been making these as part of my selection of candy. I use Chipotles in adobo for the spice, which has worked well. My only problem is that sometimes they come out really hard, and I have to do a whole new batch. Is there anything you can tell me about what I might be doing wrong? I am cooking the mixture to 255 as directed…I love the flavor, but need some help with the texture, lol. Thanks for all of your wonderful recipes! Hi Elisabeth, Candy can be so frustrating at times, right?! Unfortunately, without being with you when you’re making them, it’s difficult to pinpoint the problem. I will say though, be sure that your thermometer is calibrated, as they can sometimes end up off, which can affect the resulting candy textures if they’re cooked to a too high or too low temperature. Hi! I love caramels and I live in Mexico!!! Perfect! 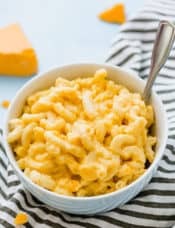 Thank you for al the great recipes! Hi Adeline, I just use regular wax paper – cut it into squares and then wrap up the caramels. Chili heat goes so well in chocolate! 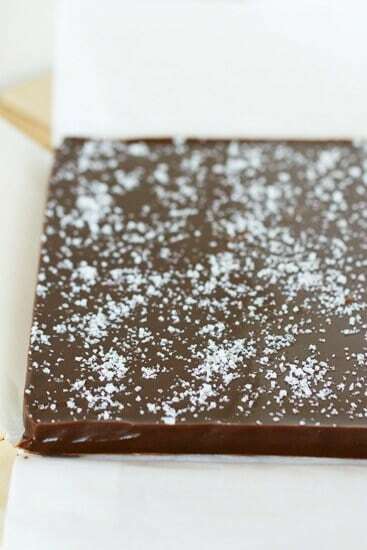 I agree that fleur de sel makes everything better. I live Maldon Salt too (and the smoked version). These look so good. If I made them, they would be gone in a second flat. I made these a couple days ago and they turned out perfect! 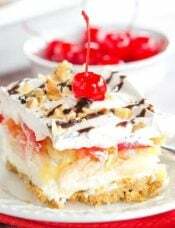 I cut the recipe by a quarter becasue I only had a cup and a half of cream in the fridge. I also didn’t use any chilis (again because I didn’t have any) but threw in a pinch of cayenne. With Mexican vanilla and chocolate, these were a wonderfully complex flavor. I wrapped them in plastic, which took forever, but it guaranteed I would take them into work and get them out of the house! Thanks so much for the recipe! what kind of chiles did you use? there are a few small red chiles that I know of, so was curious to know which one you used. 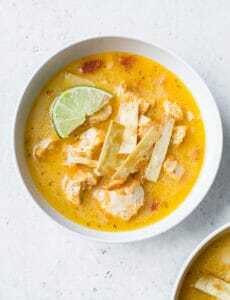 Hi Meredyth, I used dried arbol chiles. Enjoy! I love making caramels… And, the flavors in these ones sound divine! This is definitely a recipe I have to try! My thermometer says the soft ball stage is 235 degrees. Is there a typo in the recipe or should I cook them to 255? Hi Mary Beth, My apologies for the confusion; I would cook to 255, as that is what I did and the caramels were the perfect consistency. I will edit the recipe so as not to cause any more confusion. I made these today, and while mine aren’t as pretty as yours they are awesome! The chile is very subtle, I think maybe I could have used 4 chiles and not just 3. Mine are perfectly soft and the Mexican chocolate is delicious! I grew up drinking Mexican chocolate (with my abuela) so these really hit the spot. Thank you for a great recipe! Now I need to share with my co-workers for Cinco de Mayo!